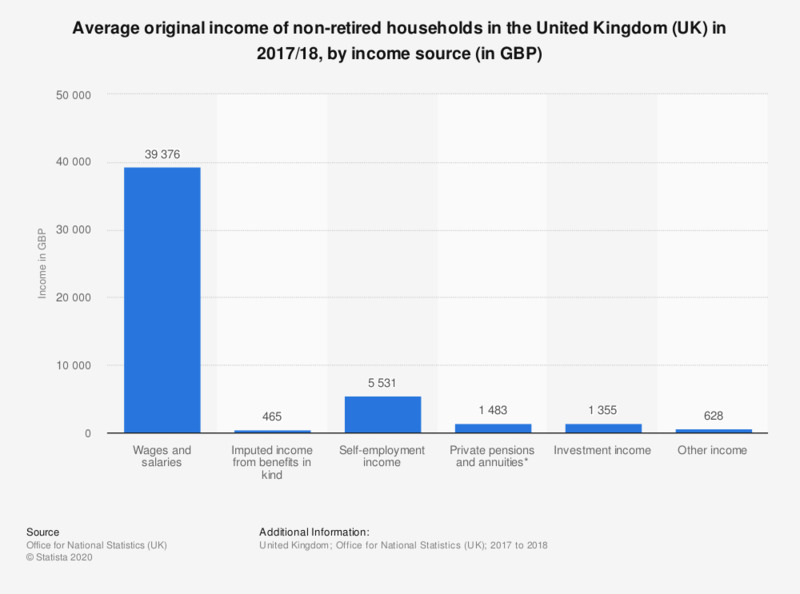 This statistic displays the average original income of non-retired households in the United Kingdom (UK) in 2017/18, by income source. Households in the UK received, on average, 36,376 British pounds from wages and salaries, this was the largest income received by households, whilst they received only 465 British pounds from imputed income from benefits, which was one of the lowest incomes of any source. *Includes all workplace pensions, individual personal pensions and annuities.